President: Dr. Renato Carlos H. Ermita, Jr.
Don Mariano Fortunato Jhocson, founded Colegio Filipino, now National University in August 1, 1900 in Quiapo, Manila. Courses offered were bookkeeping and accounting. This led to changing of the name to Colegio Mercantil and in 1916 to national Academy. After 21 years of educational service, the National Academy was changed to NATIONAL UNIVERSITY. On January 1, 1998, disastrous fire razed four buildings of the University. 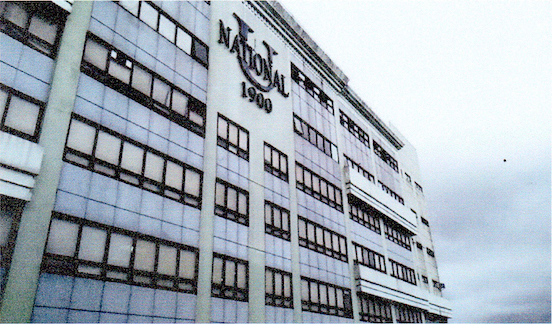 In 2008, the SM Group of Companies acquired majority ownership of the National University. Today, The University is engaged in a continuous modernization and upgrading program of its facilities, faculty and sports development. Founding member of the University Athletic Association of the Philippines (UAAP). Its international affiliations and memberships include the Association of Southeast Asia Higher Institutions of Learning (ASAHIL) and the International Association of Universities (IAU).